CRAZY COOL GROOVY!!! : LAVAR BALL REFUSES To THANK President TRUMP During CNN INTERVIEW!!! LAVAR BALL REFUSES To THANK President TRUMP During CNN INTERVIEW!!! In the ongoing feud between President DONALD TRUMP and LAVAR BALL, last night, , LAVAR appeared on CNN TONIGHT With DON LEMON with Guest Host CHRIS CUOMO to discuss why he appeared to be reluctant to thank TRUMP for his assistance in having his son released from CHINA!!! 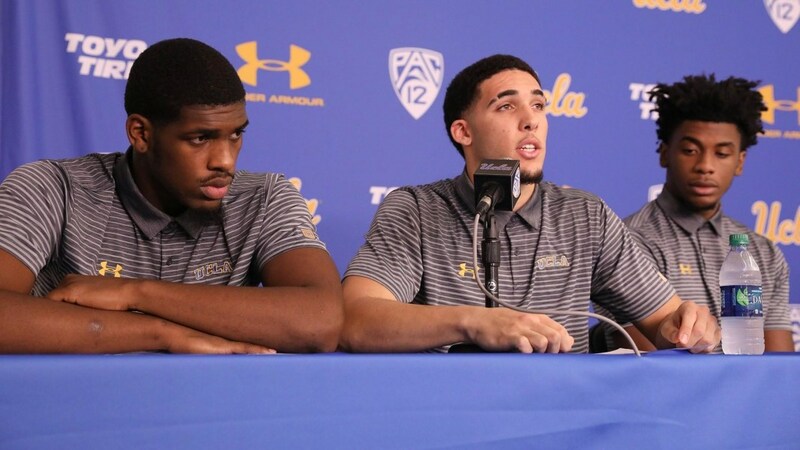 CODY RILEY, LIANGELO BALL, and, JALEN HILL (bottom photo: left-to-right) were the three UCLA BRUINS basketball players who were arrested and detained in CHINA on accusations of shoplifting sunglasses from a LOUIS VITTON store in SHANGHAI, CHINA. Lavar Ball is the father of LiAngelo Ball. President TRUMP reached out for CHINA President XI JINPING, and, on last Tuesday, the three players returned to the UNITED STATES. They held a press conference at which they admitted to shoplifting and apologized for their actions to their family and friends, team and coaches, university and administration, and; President Trump. All three have been indefinitely suspended from the basketball team. Watch the full 23 MINUTES Of LAVAR BALL NOT THANKING President DONALD TRUMP.